Are you looking for something to take your bathroom to the next level? Perhaps you’ve considered integrated stone sinks, or maybe a slab shower? It’s the little things, though, that really take a space from beautiful to gorgeous. Today, we have two ideas to share with you that can jazz up any space. 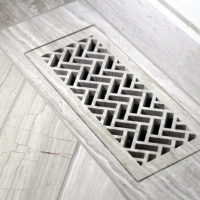 Our in house waterjet team specializes in creating custom details for any space. 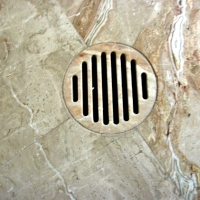 Two areas to consider in the bathroom are heat register covers and shower drains. Think about it; you’ve carefully selected the stone for your floor. It’s one of the main features of your bathroom. 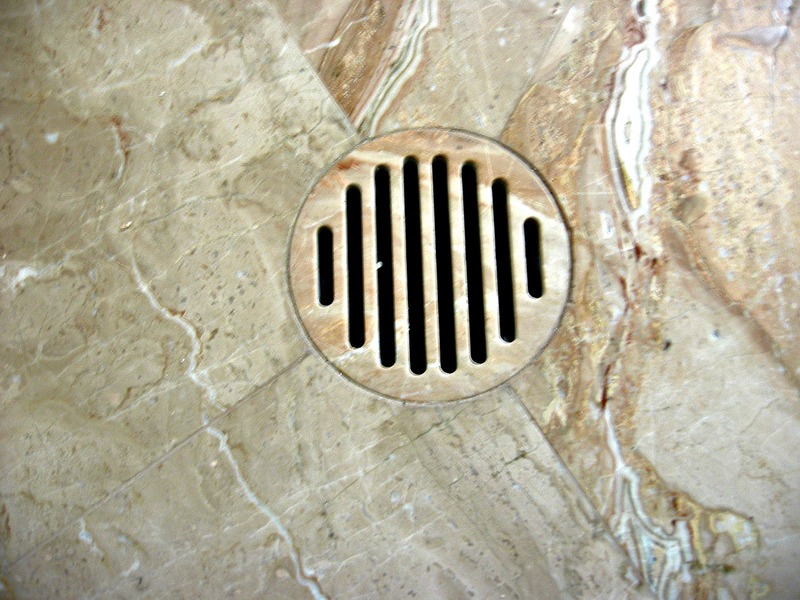 The last thing you want to do is break it up with a metal drain or vent cover. 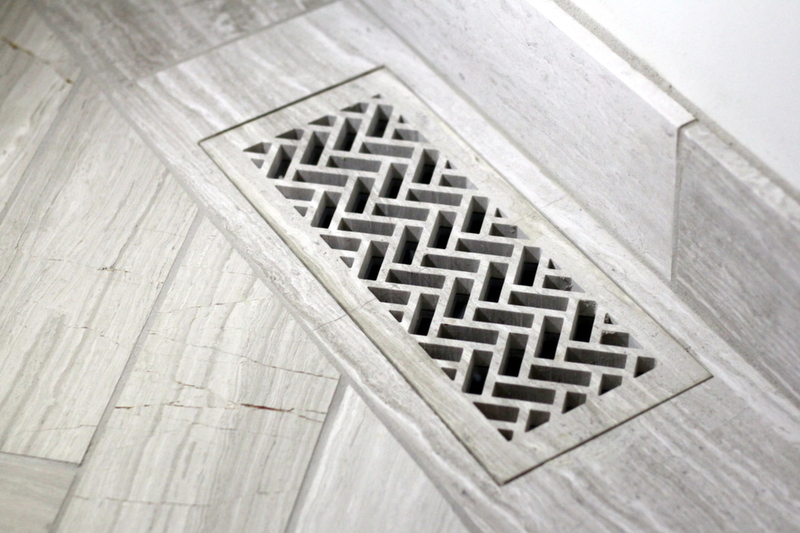 With our waterjet heat register covers and shower drains, each piece is custom cut from your floor tile for a perfect match. We can even work to align the grain for maximum continuity. We offer a wide variety of designs to choose from, so there’s sure to be one to match the style of your space. Stone register covers are backed with aluminum for strength. And these covers aren’t limited to stone – we can also create them from ceramic or porcelain tile. Have something else in mind? We might be able to cut that too! The wonderful thing about this idea is that you can even install these in an existing bathroom. All we need are the dimensions of your existing register, and an extra tile that matches the floor. We can create a drop-in register cover, which you can easily switch out with your existing wood or metal cover. If you’re interested in ordering either a custom heat register cover or shower drain, click here to learn more. There’s also an order form which you can print out and send in here. Looking for that unique feature in your bathroom? You have a number one crew of installers. We could still be figuring out what size sinks if Jose had not helped us with the right size for our cabinets. The crew shared valuable information about sealers, repairs, etc.